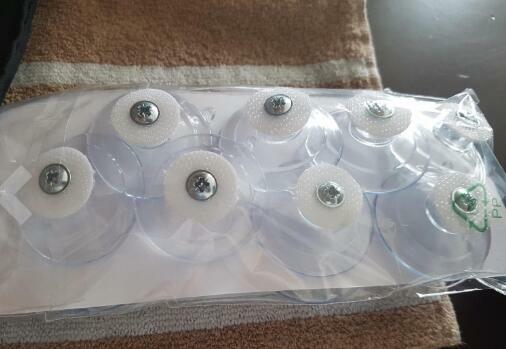 Hanging Suction Cups Curtains on the walls in a rental property or on the glass of a window, as for cafe curtains, poses problems solved by the use of suction cups designed to stick to glass. They remove easily, do not make holes in the walls and can be painted or decorated to enhance the decor scheme, though they are often clear to blend unobtrusively with the glass. A homeowner or renter can attempt this installation with confidence that her curtains will stay in place. Measure the width of the curtain along the top edge, from one outside edge to the other. Count the number pleats on the curtain. Divide the width of the curtain by the number of pleats for the number of cup hooks required. Measure the top-of-pin length of the curtains as from the bottom edge of the fabric to the top edge of the hook of the drapery pin. Mark the wall at the desired bottom of curtain edge. Measure up the wall to the top-of-pin length and place a mark on the wall. Measure from the floor to this mark and use this measurement for the top-of-pin line position. Draw a horizontal line on the window or wall at this top-of-pin position. Draw the line equal to the measurement of the width of the curtain and centered over the window or area the curtains will cover. Divide the width of the curtain by the number of pleats to determine the space between the hooks and place the hook position marks equidistant, by this measurement, across the top-of-pin line. 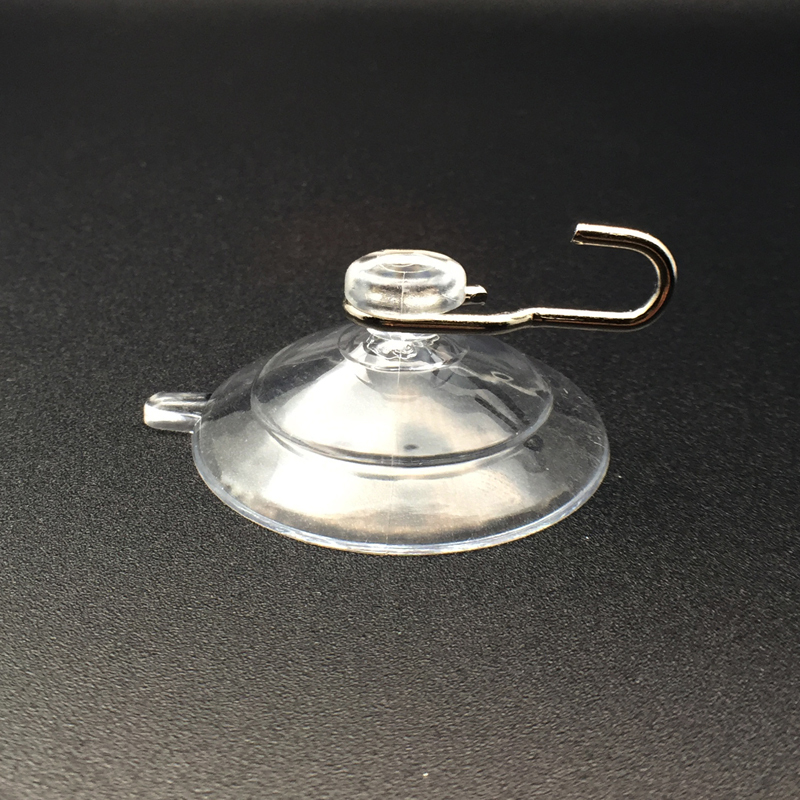 Install a suction cup at each hook position with the tip of the hook pointing up. Attach the cup to the window by following the specific manufacturer’s instructions. Slip a 1/4-inch diameter closed jump ring over the cup hook, and insert the drapery hook into the jump ring to complete the installation. The jump ring forces the drapery pin into the correct position of perpendicular to the wall. Without the ring, the pin would be forced to sit parallel to the wall and the pleats would not hang correctly. Measure the length of the curtain as from the bottom edge to the top edge. Mark the wall at the desired bottom of curtain edge. Measure up the wall the length of the curtain plus 1 inch and place a mark at this position. Measure from the floor to the mark and use this as the hook placement position. Draw a horizontal line on the window or wall at this hook placement position. Draw the line equal to the measurement of the width of the area to cover, centered over the area. Place the cup hooks, evenly spaced on this line, every 4 to 6 inches. Ensure that the cup hook itself is on the line, not the bottom or top of the suction cup. Count the number of cup hooks used. Divide the width measurement of the curtain by the number of cup hooks used and place a mark on the wrong side of the top edge of the curtain, spaced equally to indicate the tie position for each hook. Cut one 12-inch piece of 1/16-inch cord for each cup hook; thread one end of the tie onto a large-eye needle and stitch it to the top edge of the curtain, at each tie position. Tie a knot, close to the curtain top edge, to prevent slipping. Tie an additional knot 1 inch from the curtain, Trim the hanging ends, or tie them into a bow if using decorative cord. Hang the curtains by slipping the looped cord over the cup hook to complete the installation. Self-erasing fabric marking pencils can be used to mark walls because the marks disappear. Closed jump rings are available in the jewelry or beading department of craft stores. If using drapery rings with attached clips, adjust the position of the cup hooks higher on the wall or window to accommodate the added length of the ring and clip. For example, if the ring and clip measure 3 inches from the top of the ring to the bottom of the clip, position the hook of the suction cup 2 1/2 inches higher than the length of the curtain. One-half inch of length of the clip will be used in the actual clipping to the curtain. Suction cup hooks make the installation of drapes on Palladian or arched windows much easier than bending a rod to fit the curve.